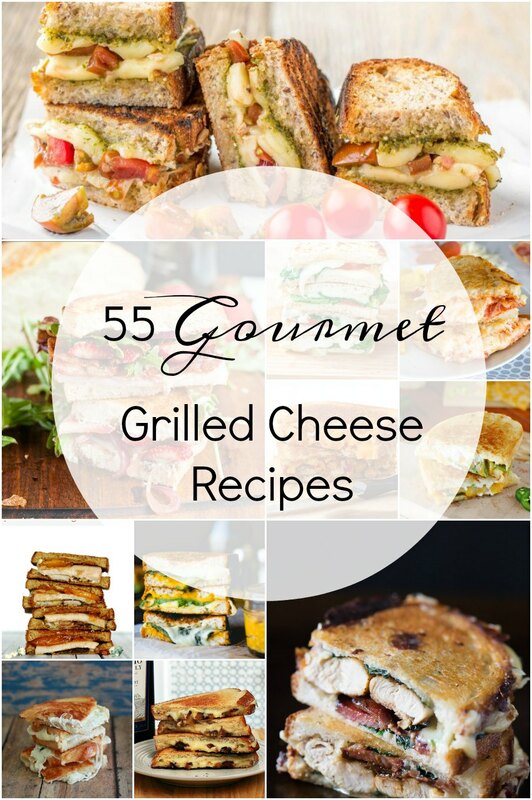 Here are 55 gourmet grilled cheese recipes to celebrate Grilled Cheese Month. Sweet, savory, or a mix of both, you’ll find one you love here. April is Grilled Cheese Month! A whole month dedicated to one of my favorite sandwiches. After all, who doesn’t love a sandwich loaded with stretchy, melty, delicious cheese? Today’s grilled cheese recipes roundup goes way beyond the standard white-bread-and-American-cheese sandwich, though. These sandwiches have all kinds of cheeses, meats, fruits, vegetables, and condiments!